Renting from a private landlord – getting advice. More people are renting from a private landlord than ever before. If you need advice about your housing and you live in private rented accommodation, have a look at where you can advice online to answer your query. What do I need to know about renting privately? My landlord wants to evict me. What are my rights? What about other problems with renting privately? The government has made a checklist of things you need to think about when renting from a private landlord. From what to look for when renting a property to how to resolve problems, it’s worth a read. GOV.UK – How to rent checklist. Make sure you know about the costs of renting. This means thinking about the deposit, fees, rent in advance, bills and Council Tax. Shelter the housing charity has some information about how to pay your rent in advance, including if you’re on Housing Benefit. Shelter – Rent in advance. They also have a calculator to estimate how much renting privately will cost you – have a look: Shelter – costs of private renting. Housing Benefit may help you with the cost of your rent. To find out more about Housing Benefit, see our blog. 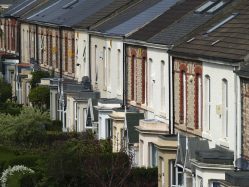 North Somerset Council have a leaflet which may help you to find privately rented accommodation, including information about deposits. Your rights around renting privately can be complicated. If you are unsure about your rights and responsibilities regarding housing, you should get more detailed advice. Most repairs are the responsibility of the landlord, but some are the responsibility of the tenant. Make sure you get advice before you take action about repairs. You can check with Citizens Advice which repairs are the landlord’s responsibility and which are the tenant’s reponsibility. It’s also a good idea to look at your tenancy agreement. Citizens Advice – landlord repair responsibilities and tenant repair responsibilities. Before you take action make sure you know whether you can be evicted, and what your options are. To check if your landlord can evict you, use this quick checking tool from Shelter. Private renting: what your options are for dealing with repair issues. If you need help putting things into writing, you can use these sample letters to report repairs to your landlord or report them to your local council. To check if your landlord can evict you, use this quick checking tool from Shelter. You can check whether the landlord has followed the right steps by reading more on Shelter’s website. You could be at risk of homelessness if your landlord wants to evict you. The first stage in the evicton process is usually a ‘Notice’ from the landlord. Eviction is a complex area so make sure you get advice about this. If you think you are going to be evicted, or have received a Notice from your landlord, you should get advice straight away. Deposits Find out about your rights around deposits from this factsheet from Citizens Advice. Use the Shelter sample letters to help ask for the return of your deposit. Your rights around renting privately can be complicated. If you are unsure about your rights and responsibilities regarding housing, you should get more detailed advice -see below for your options. Shelter Call on 0808 800 4000, Mon-Fri 8am-8pm and Sat/Sun 8am-5pm. Online There’s some great information on Citizens Advice – renting a property which we’ve linked to in this article. You can also check out Shelter – housing advice. Face-to-face Finally, for local advice, go to our Advice Directory under Housing, on the Filter tool click ‘advice’, and then click ‘Filter’. Check the list or Map view to see where you can get advice about Housing.